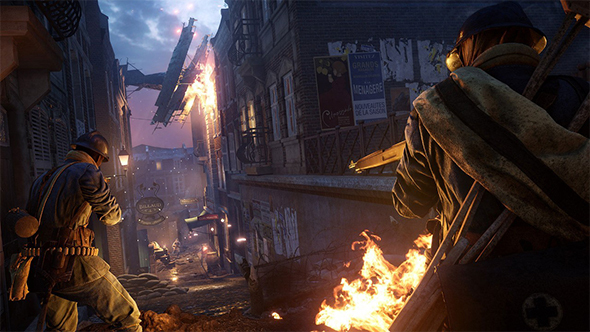 EA have detailed what to expect from the next few weeks of Battlefield 1 content, including new maps, a chance for base players to check out the DLC, and a certain premium map going free for everyone. Check out the best war games on PC. From January 16 to January 22, all Battlefield 1 players will be able to take part in the Gallipoli Trial, making the Gallipoli content from the Turning Tides expansion temporarily free. This is the same sort of Premium Trial DICE have previously run, and it will also allow access to content from the In the Name of the Tsar and They Shall Not Pass expansions. January 16 will also see one of those They Shall Not Pass maps become free forever, as the French nighttime battle Prise de Tahure will become part of the base game, even after the trial ends. The next part of the Turning Tides expansion, which was split ahead of release, will also be coming “soon.” It will feature Zeebrugge and Heligoland Bight maps, the British Empire Royal Marines, and the C-Class Airship. The original announcement suggested this second part would release in January, and it looks like they’re on track to meet that schedule. EA and DICE seem set on trying to entice Battlefield players with some extra free stuff in addition to the paid DLC. On top of the Prise de Tahure map becoming free, they’ve also made Operations content free to all.